I photographed and recorded audio of two suffers of Scleroderma, Marie Coyle of Topsfield, Mass. 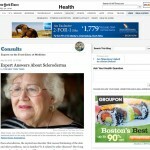 and Brian Sullivan of Hudson, N.H., for the New York Times audio slideshow feature Patient Voices: Scleroderma. 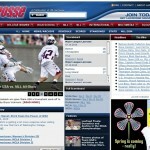 Two photo galleries from recent action for Lacrosse Magazine at Harvard Stadium. MLL All-Stars v. Team USA and Boston Cannons v. Long Island Lizards.